Amidst epidemics of youth alienation and cultural polarization, social circus projects have been sprouting up around the world to serve youth in building their strengths toward a brighter future. 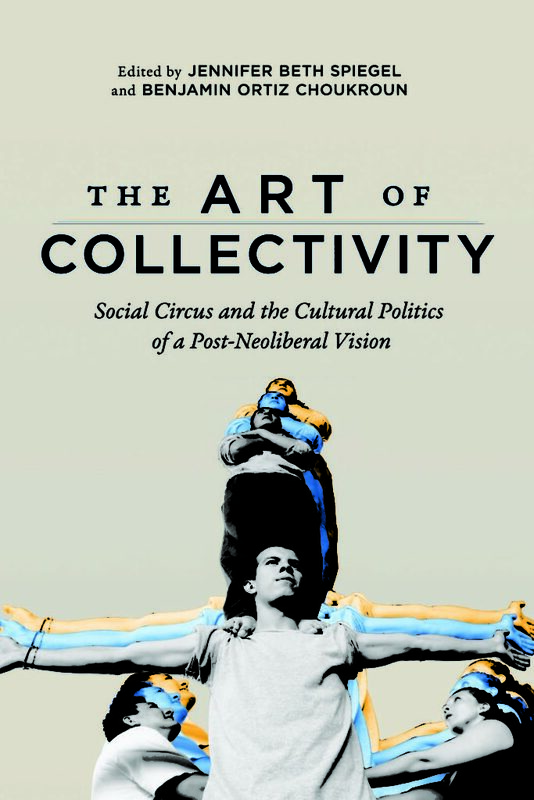 With myriad goals, pedagogical approaches and institutional structures, The Art of Collectivity: Social Circus and the Cultural Politics of a Post-Neoliberal Vision (more info here) asks what impacts these programs are having and what factors influence the experiences of individuals and communities affected. The result of a seven-year, international, transdisciplinary study, the book brings together insights from scholars and practitioners of community arts, humanities, social sciences, and health sciences from the Global North and Global South, working closely together to make sense of the complex dynamics at work shaping the social and cultural terrain social circus. The largest study of social circus to date, the book combines detailed quantitative, qualitative, and arts-based research. Here the team documents the effect of local and international partnership structures on shaping pedagogies and influencing which youth are reached by programs and how they experience the program, comparing programs in the Global North with those in the South—with a particular focus on the relationships between programs in Canada and in Ecuador, where a formalized knowledge exchange was put in place. The book further analyzes how structural factors influence pedagogy, and in turn participant experiences including effects on personal growth, social and economic participation as well as various other indicators of individual and collective health and well-being. Finally, it discusses comparative results found between youth involved in social circus programs and those involved in other similar activities including music, parkours, capoeira and others. The book follows debates on the ground concerning how to, on the one hand, support youth who want to professionalize, while, on the other hand, ensure that broader social goals continue to be addressed by programs. It also engages with various other debates concerning the ‘inclusivity’ of programs such as making them broadly accessible to those from a range of socio-economic and cultural backgrounds, while ensuring that those most neglected by dominant institutions continue to be actively recruited and welcomed into programs. Adopting an innovative integrated study design, the book brings a critical theoretical lens to understanding the cultural politics of community art. Sensitive to hierarchical binaries such as research/practice, North/South, and art/science, the book makes a timely contribution to both knowledge of social circus and the research methods for investigating community arts more broadly.